Northeast Florida is fast becoming one of the most popular locations to live the dream of homeownership. Palm Coast and Flagler Beach have an array of properties on the market from which to choose, but getting the best home, condo, land, or commercial property at the right price takes the insight and experience of a savvy real estate and property management professional. Donna Tofal has been successfully representing buyers and sellers for over 30 years and has dominated the Flagler Beach and Palm Coast real estate industry since she arrived here in 1998. Team Tofal specializes in Palm Coast real estate and property management, including oceanfront dream homes and properties on the Intracoastal Waterway. Because we personally enjoy the boating life, we have specialized knowledge about waterfront homes for boaters. Get to know Donna and you will see why her team is the best. What makes the best real estate agent in Flagler Beach and Palm Coast? Donna prides herself on providing exceptional customer service, and she assembled Team Tofal to assist her with making sure that all of her transactions run smoothly. You will not find a team who knows this exciting area better; and on top of that she will meet your needs with professionalism and competence. You can contact Donna today for a free consultation. Donna’s experience in real estate began with immersion in real estate law, managing a title insurance agency, overseeing escrow and marketing departments, as well as a full service title plant. This background proved to be an important asset when Donna began selling Florida real estate, acquiring her license in 1983, and thereafter she quickly rose to the very top of all realtors nationwide. What sets Donna apart from other Flagler real estate agents? Her mastery of title insurance honed her skills in reading surveys, title commitments, insurance binders, understanding financing conditions, and more. This knowledge has proved invaluable in taking real estate contracts from signing to closing with no hassles for the sellers and buyers. Team Tofal takes pride in a smooth, stress free transaction. 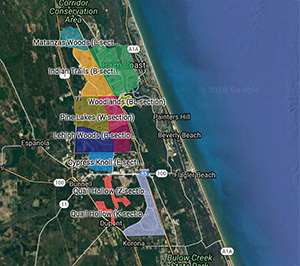 When Donna settled permanently in Florida in 1998, she saw her real estate career in Flagler County as a long term, continuous growth opportunity. She thrived in her calling as a real estate agent, taking the opportunity to work with two national franchises as well as a major development, Hammock Dunes. Why Choose Team Tofal as Your Flagler Realtor? Ask anyone who has bought or sold a home what the most important thing is about a real estate transaction, and they will tell you to use an agent who has the knowledge and the resolve to follow through on every detail, all the way to closing. Team Tofal will be available to answer your questions, show you a variety of homes in Palm Coast and Flagler Beach, and explain the buying and selling process clearly and accurately. The right Realtor will always make you feel confident and protected in your real estate buying and selling. Your decision to hire the right team of real estate professionals for this significant business transaction will be the beginning of a long-lasting relationship with Team Tofal. We have found that our customers come back to us year after year, when their needs and desires for real estate change and grow. Keep in mind that your first consultation with Team Tofal is always free, with no obligation. This has been Donna’s policy since day one and will not change, as interacting with potential customers is always a pleasure for her. If you are in the market to buy or sell a home in Flagler County and the surrounding region, contact Donna with your questions, concerns, and goals. If you are in the market to buy or sell a home in Flagler County including real estate in Flagler Beach and Palm Coast, contact Team Tofal for a no obligation consultation.